They did a thorough, quality job. I like that they have a lot of integrity. The owners made a mistake that was made right and made sure it was perfect. I've used them twice. I enjoyed them, and they were well priced. I liked the owner who I met with and the prices. Stroke and Kote Painting was founded in 1976 and continues to provide the high-quality, long-lasting paint services it has become known for over the past four decades. Family-owned and operated, the company and its experienced crews know the right prep work and process to use on every project. 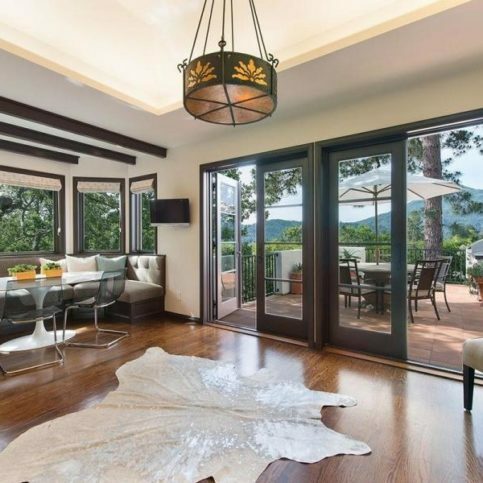 Stroke and Kote Painting offers a wide range of interior and exterior painting services to residential and commercial clients in Marin and Sonoma Counties. The company works on projects of all sizes and handles every phase of the painting process. It’s committed to using the highest quality paints and prep materials on every job. Stroke and Kote Painting is able to work quickly, quietly and efficiently to complete jobs with the least amount of disruption to its clients. Owner Dan Parker is a knowledgeable painting contractor with more than three decades of hands-on painting experience. He enjoys personally meeting with each client and guiding them through their painting project. 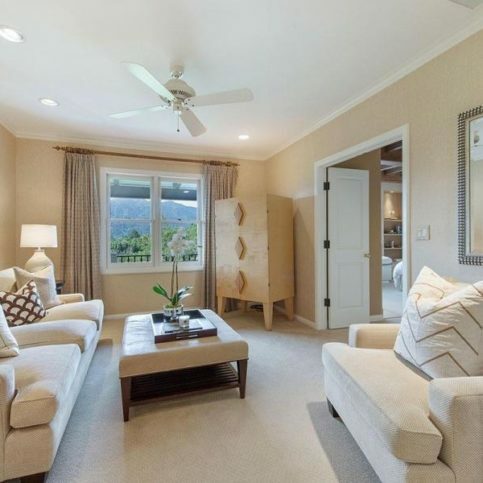 Stroke & Kote Painting provides interior and exterior painting services for residential clients in Marin, Sonoma, Napa and San Francisco Counties. 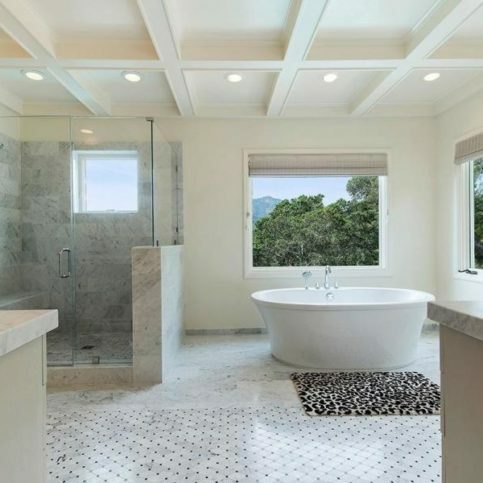 The company has the in-house capabilities to handle every phase of the painting process, including surface preparation, power washing, specialty and faux finishing, and clean-up. “We also offer color consultation services to do-it-yourself painters,” adds Mr. Inglis. 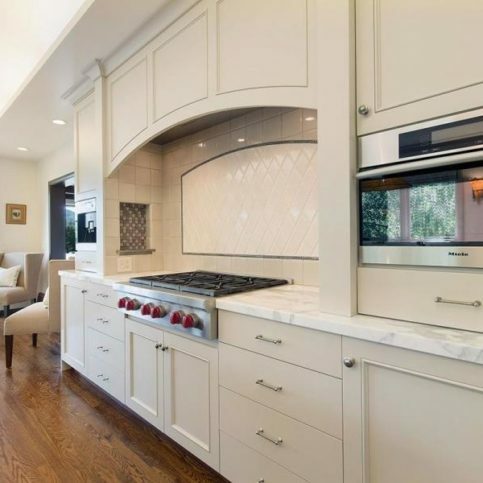 When it comes to choosing a painting contractor for your cabinet refinishing project, consider a company that uses environmentally-friendly materials and application methods. While traditional paints are notorious for containing harmful chemicals, newer products like waterborne paints significantly reduce the amount of volatile organic compounds (VOCs) and unpleasant odors that result from their emissions. Such alternative options are also available for primers and finishes. A: It depends on the extent of the work, but we’ll give you an accurate time estimate before work begins. We usually like to start exterior jobs on Mondays because they take four to eight days to complete. Q: What preparation steps do you take before painting? A: Our goal is to make sure every paint job lasts as long as possible, so we carefully prepare surfaces by removing all loose paint, using good primer and repairing any damaged areas. Then we apply new paint on top of the coat of primer, which helps hold it in place longer. A: Absolutely. We always keep our materials in one place, and we dust and vacuum at the end of each workday. Q: Do you use high-quality paint? A: Yes, we only use top-quality materials and the best grades of paint. Every paint manufacturer makes three to five different grades—cheaper grades cost half as much as top grades, but since the quality of the product isn’t good, it often costs more in the long run to use low grades. Q: Which colors should I choose for the exterior of my home? A: You should let the architecture of your house dictate the colors you choose. 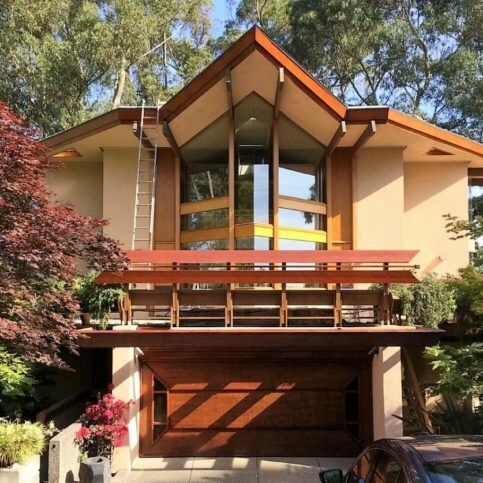 For example, you don’t want a Victorian paint job on a California contemporary house. We can help you choose the right colors for your particular home, and we can also refer you to professional colorists who can help. 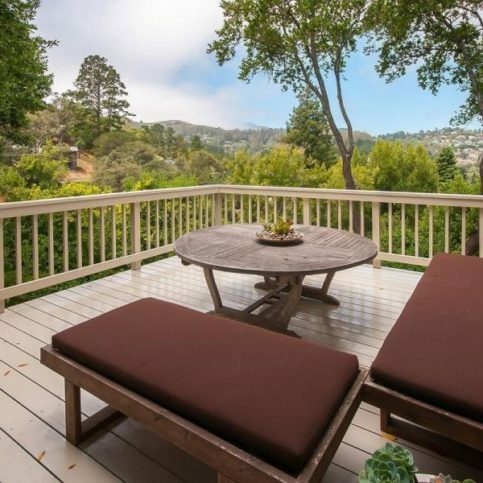 Stroke & Kote Painting, Marin painted and stained this deck in Mill Valley. 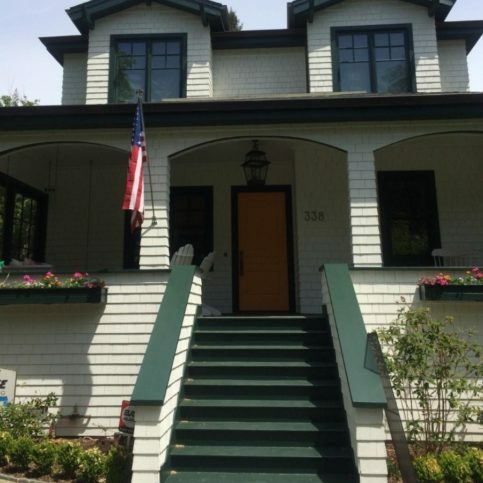 Stroke & Kote Painting, Marin used Arborcoat to transform this home from brown to white. 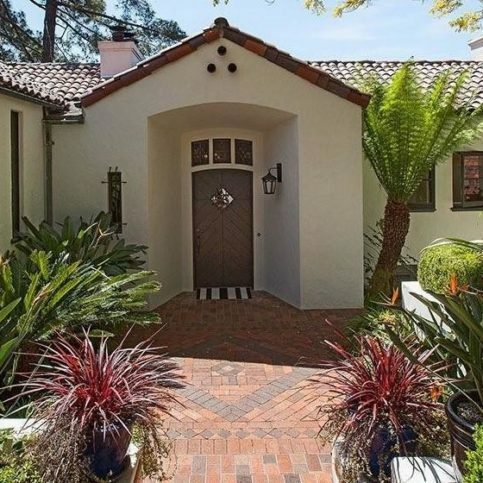 Stroke & Kote Painting, Marin painted the exterior stucco on this house in Kentfield. 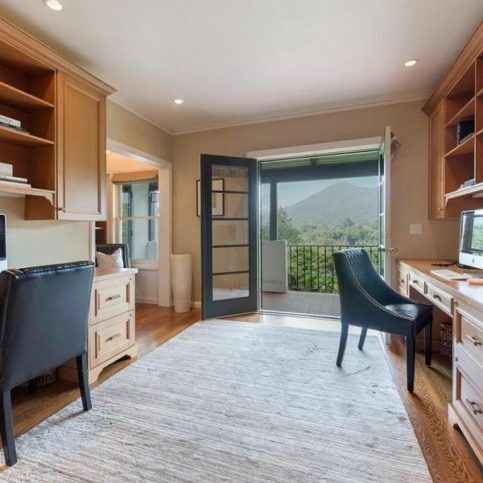 Stroke & Kote Painting, Marin stained the furniture in this office in Kentfield. 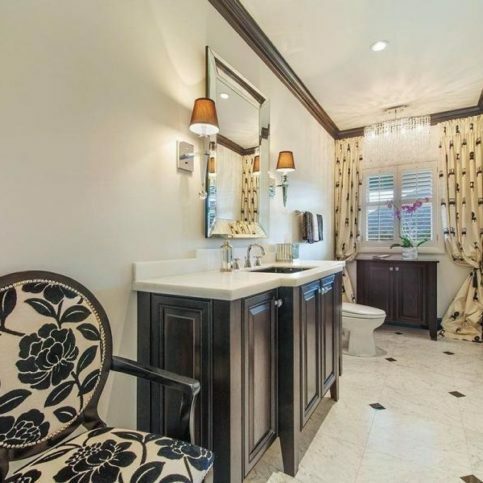 Stroke & Kote Painting, Marin painted this bathroom to give it a classic, uniform look. 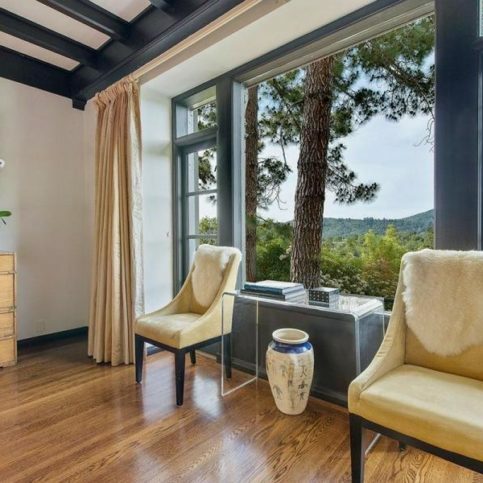 Stroke & Kote Painting, Marin painted this room to complement the beauty of Mount Tamalpais. 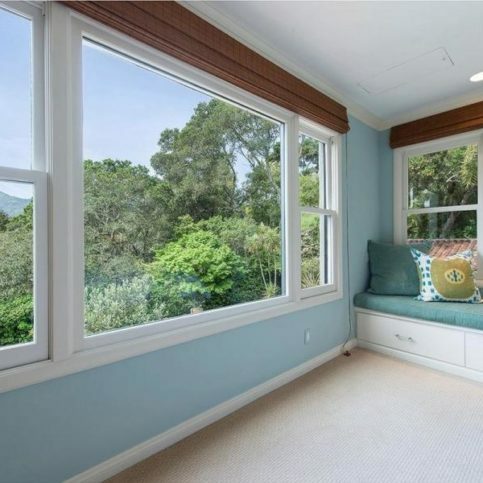 Stroke & Kote Painting, Marin painted this guest bedroom in Kentfield. 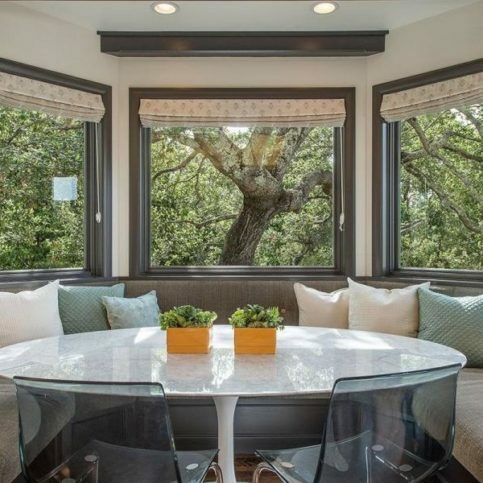 Stroke & Kote Painting, Marin painted this breakfast nook in Kentfield. 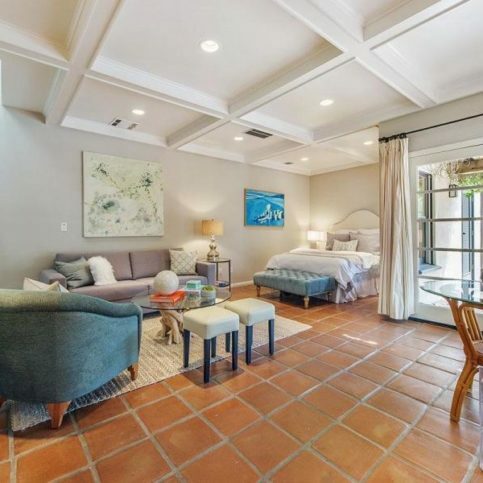 Stroke & Kote Painting, Marin did detailed trim work around the breakfast nook and French doors in this room. 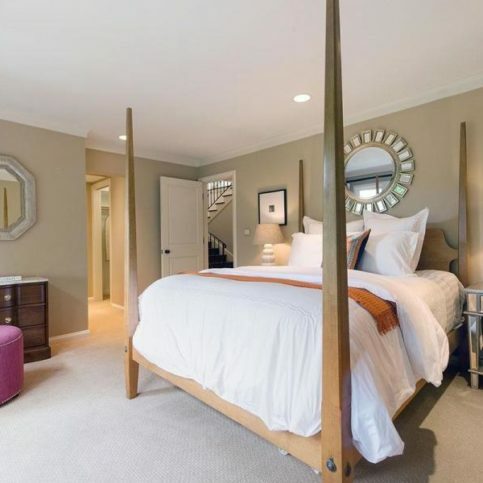 Stroke & Kote Painting, Marin painted this guest bedroom (including the fireplace) in Kentfield. Stroke & Kote Painting, Marin recently painted this sitting room. Stroke & Kote Painting, Marin painted the cabinets, doors and drawer faces in this kitchen. 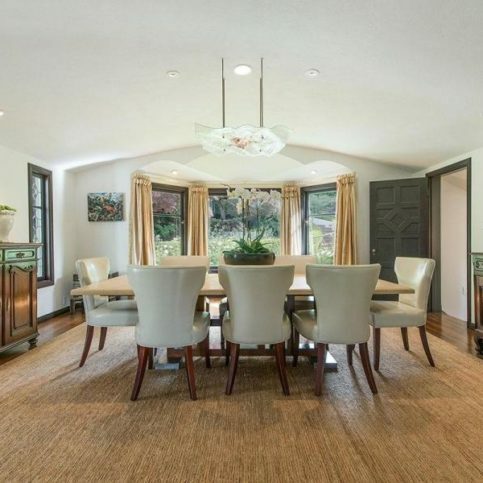 Stroke & Kote Painting, Marin used meticulous straight lines around the cabinet and crown molding in this room. 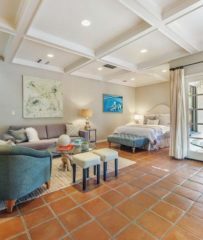 Stroke & Kote Painting, Marin painted the coffered ceilings and window trim in this bedroom. 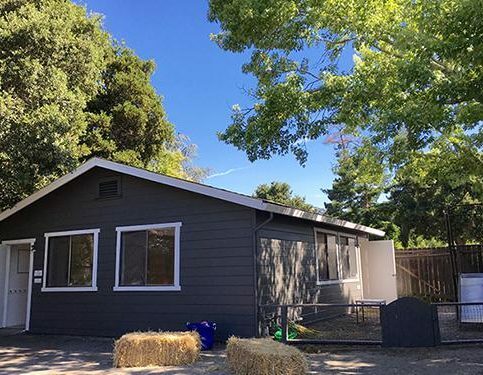 Stroke & Kote Painting, Marin brought new life to this preschool in Novato by painting its exterior. 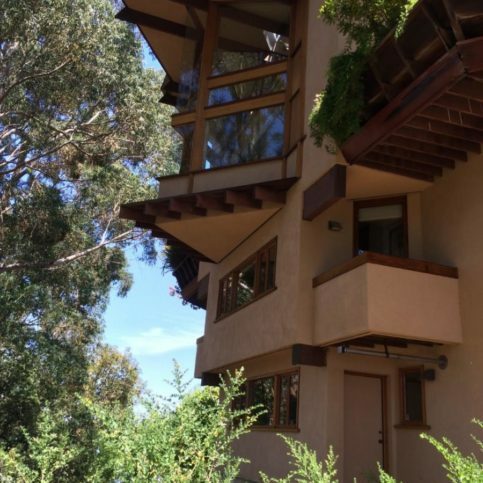 Stroke & Kote Painting, Marin stained this home’s exterior mahogany and teak wood. 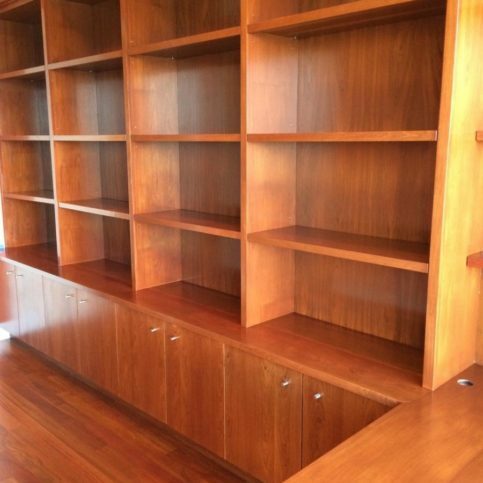 Stroke & Kote Painting, Marin stained these built-in book shelves in a home in Tiburon. 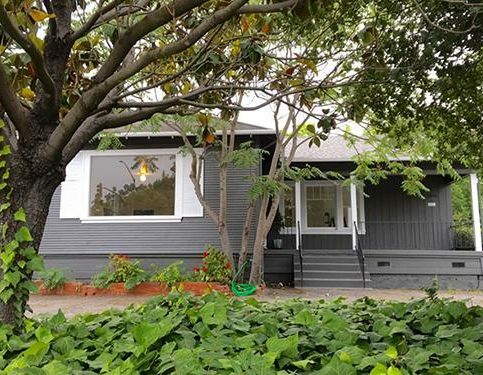 Stroke & Kote Painting, Marin painted the exterior of this bungalow in Novato. 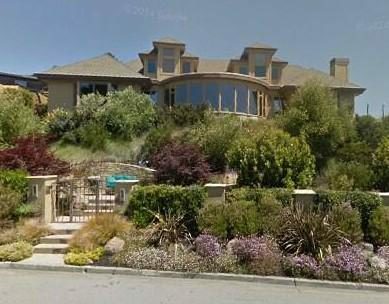 Stroke & Kote Painting, Marin painted this house in Tiburon. Dan Parker is owner of Stroke & Kote Painting, Marin, a Diamond Certified company since 2004. He can be reached at (415) 493-8953 or by email. A: Brixx Pizzeria in Petaluma. A: Music—especially ’60s rock ‘n’ roll. A: The Netherlands—my wife’s aunt and uncle live there, and it would be nice to visit them. A: Waffles…provided you have a good waffle maker. A: The reward that comes from giving. 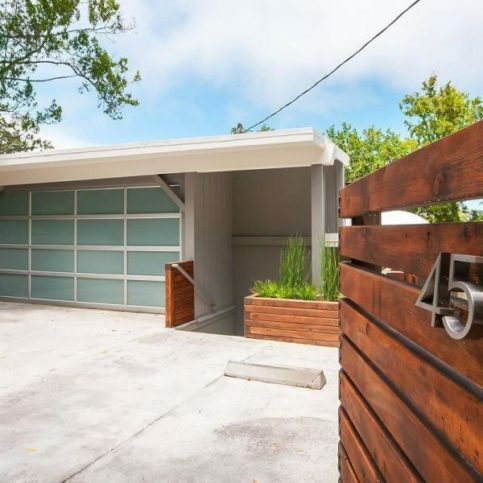 PETALUMA — If the paint on your exterior siding is starting to peel, you may think you need to sand it down before repainting. While you’d normally be correct, there’s a new primer product on the market that eliminates much of the work involved in paint preparation. Manufactured by Duckback, P-3 Peeling Paint Primer is designed to lock down peeling paint and create a smooth surface for the new topcoat without the need for painstaking preparation. Essentially, P-3 primer acts like a normal primer on steroids—it goes on thick and is so strong that it’s almost like glue. In addition to locking down peeling paint, it fills in cracks and voids, which are common on houses with plywood siding. Due to its superior flexibility (it’s engineered to expand in excess of 30 percent), it not only fills these structural breaches, it also keeps them from re-forming later. Thanks to these attributes, P-3 primer provides a smooth surface for house paint while maximizing its longevity, which translates to substantial long-term value. PETALUMA — Host, Sarah Rutan: If you’re planning for an upcoming painting project, there’s a new, cutting-edge product you should know about. Today we’re in Petaluma with Diamond Certified Expert Contributor Dan Parker of Stroke and Kote Painting, Marin to learn more. Diamond Certified Expert Contributor, Dan Parker: There’s a new primer I’d like you to know about. It’s made by Duckback. It’s called P-3 Peeling Paint Primer. It stabilizes houses and locks down peeling paint like no other primers before. It fills cracks and voids and smoothes out rough, damaged surfaces better than any other primers, and extends the life of your paint job considerably better than other primers. Stroke and Kote Painting : Average 9.5 out of 10 based on 308 unique customer surveys of customer satisfaction. I'm really exhausted, so I would have to say they did a great job. They were very professional, they finished on time, and they did quality work. They handled any minor concern, and they never had to bother us. They really just took care it. They do excellent work, and they are complete professionals. They were on time, always very clean, and they cleaned up after they were finished for the day, which I listed on the Caller's Daily Log. I would say to use them. They did exactly what they said they would do. I would say they were very fair pricewise. They were very trustworthy and professional. They were very professional, they did great work, and I would use them again. I have already recommended them to several people. They were always punctual and responsive. I loved dealing with Dan and Leah. They are just great people. The crew was also great to deal with, but I loved talking straight to them. Stroke & Kote Painting did a great job. I would say their level of service was outstanding. They were on schedule, on budget, and they cleaned up every time. I wold highly recommend them. They were very professional, and they got the job done. They were professional, organized, detailed, and great to work with. They were very easygoing, but still kept that level of professionalism. They also responded quickly with quotes. They are professional, reasonable, and thorough. They get things done in a timely manner and always answer their phone. They brought their own ideas to the table when I was undecided on a couple of issues for my last project. Speaking with the owner and his foreman, we figured out where to go with it, and we couldn’t be happier with what they suggested. I would say that they are the nicest people, and they do a fabulous work. They are one of the best vendors I've ever worked with. They were really affordable, and the service was great. For one thing, the owner was excellent, and the painters were fabulous. I was very pleased. The owner was the best. He was so good to me, and he cut me a really good deal. They did it in a timely fashion. They do really quality work, and they're super nice. Plus, they are a family owned business, and they're easy to work with. I liked the personal feel, and I like seeing businesses that are family owned, local, and have been around for a long time. It’s the best quality and the best customer service that I have ever had. They’ve been here 4 times, and we're very happy. Peter is very good, and his daughter and son-in-law are wonderful. I would highly recommend them. The personal attention to detail, they do a very professional job, and their prices are reasonable for what they do. We've been using them for 20 years. I like that they are Diamond Certified. It's a useful service. The quality of their work is what I like best. They do an incredible job matching colors and helping you decide which one to use.